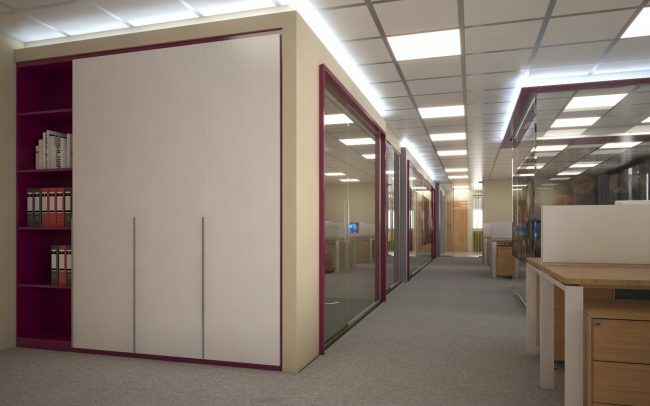 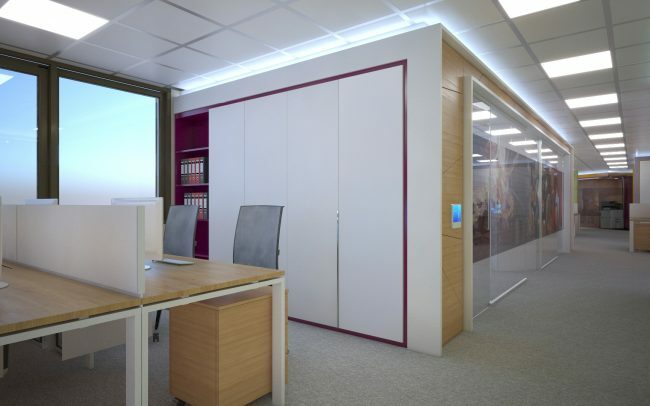 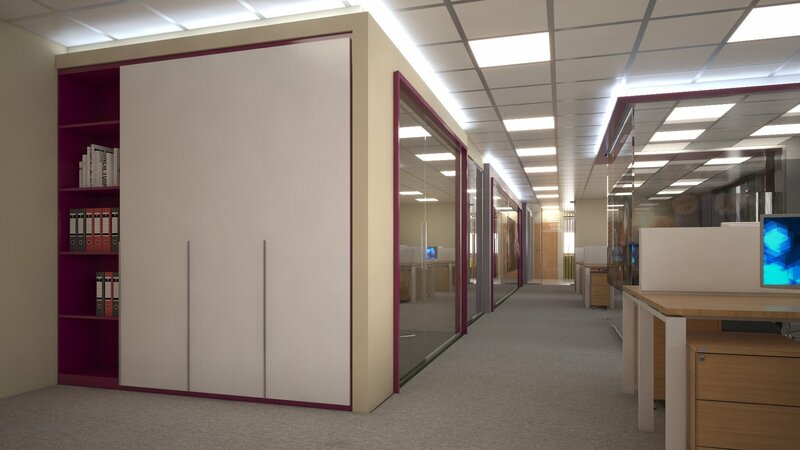 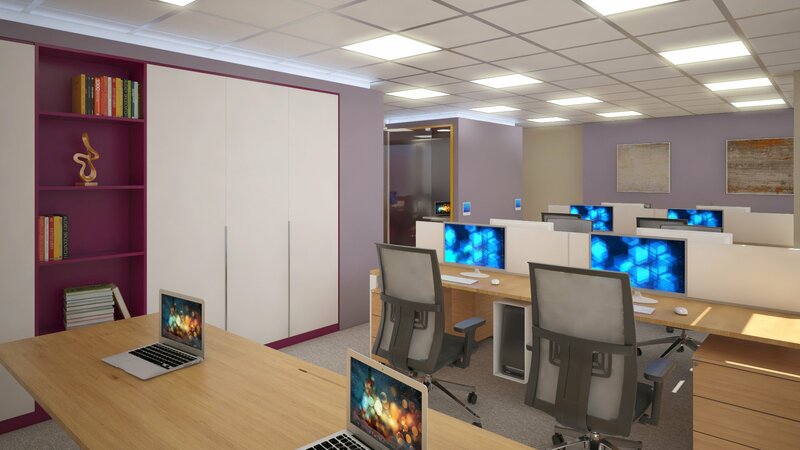 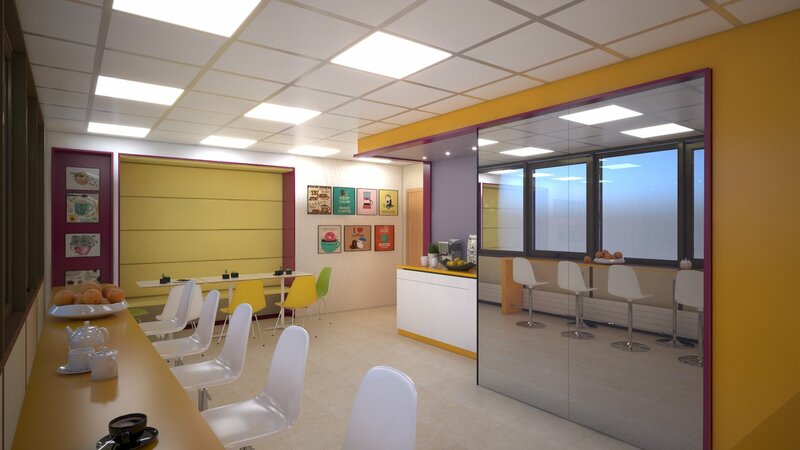 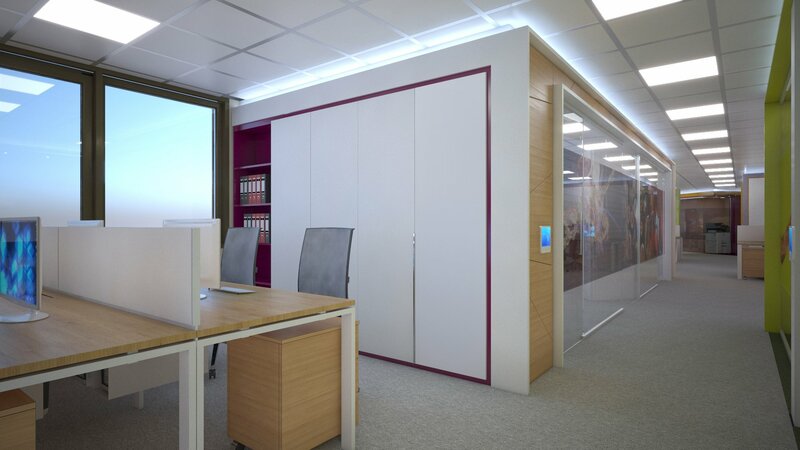 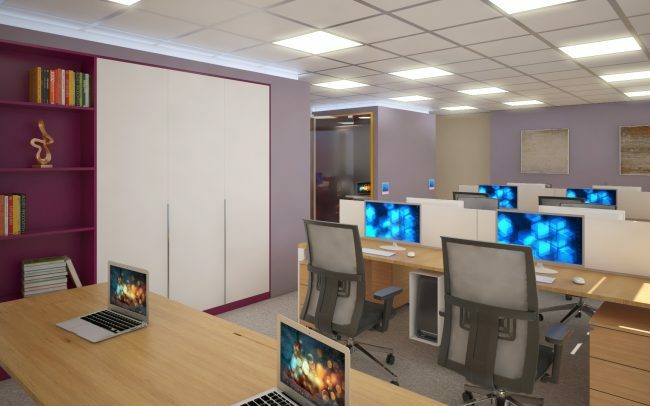 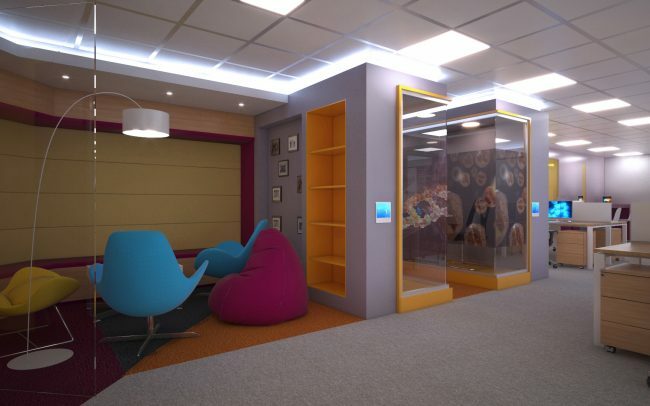 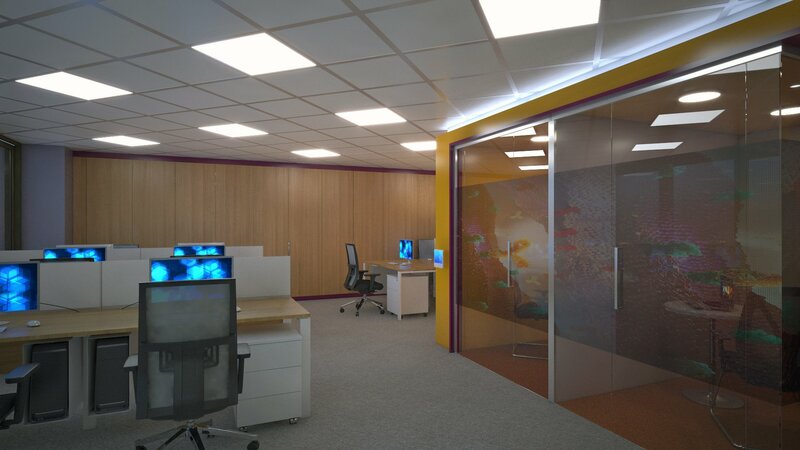 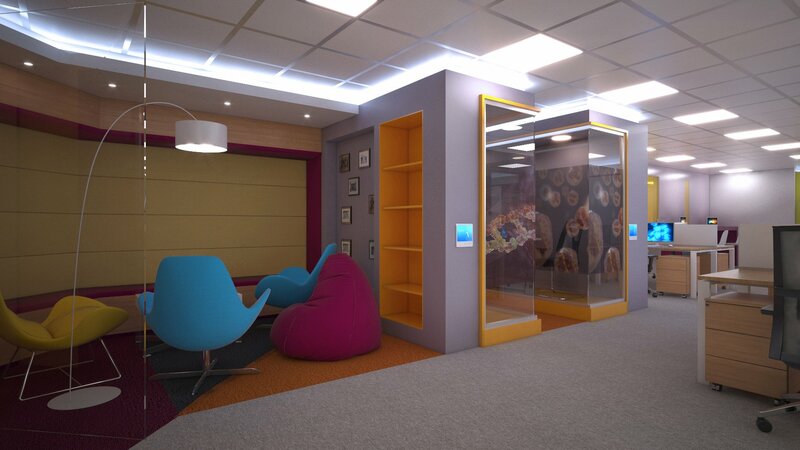 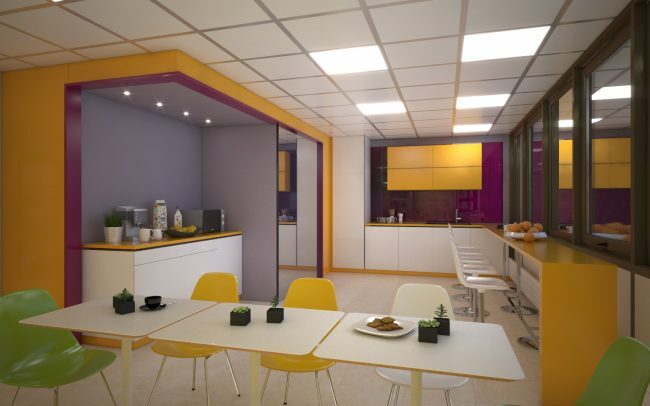 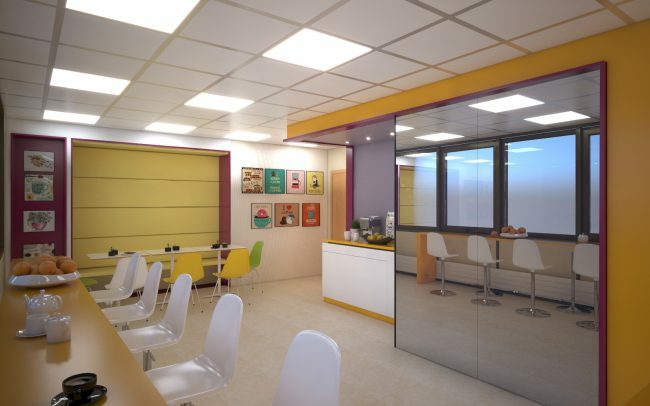 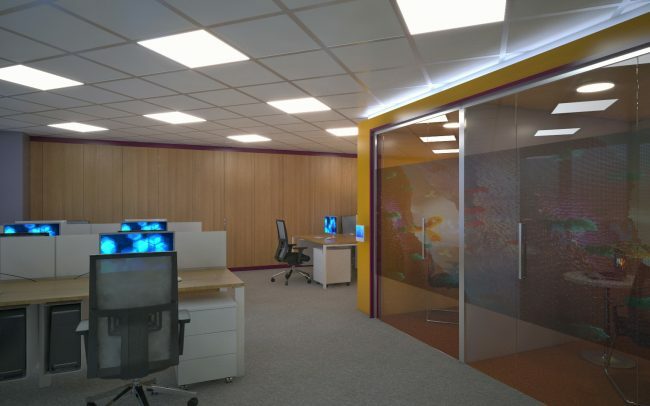 Interior design project for an office of a big international pharmaceutical company. 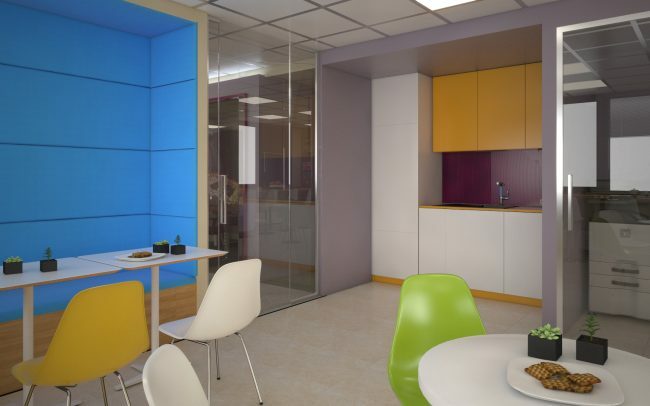 The office is located on two floors in the WTC building in Sofia. 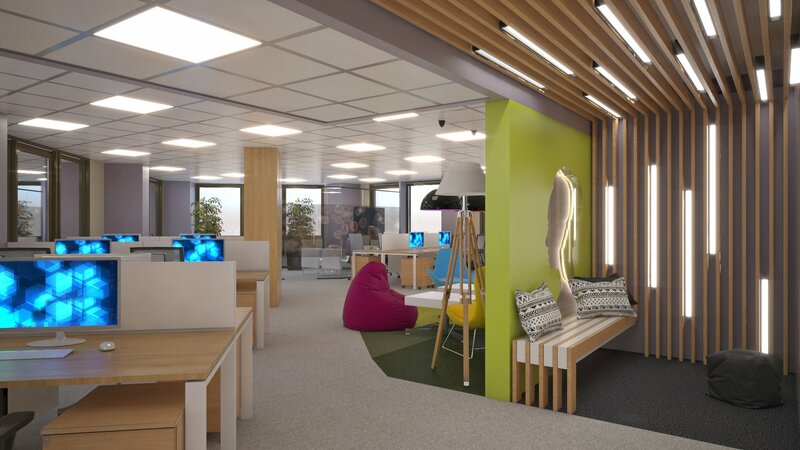 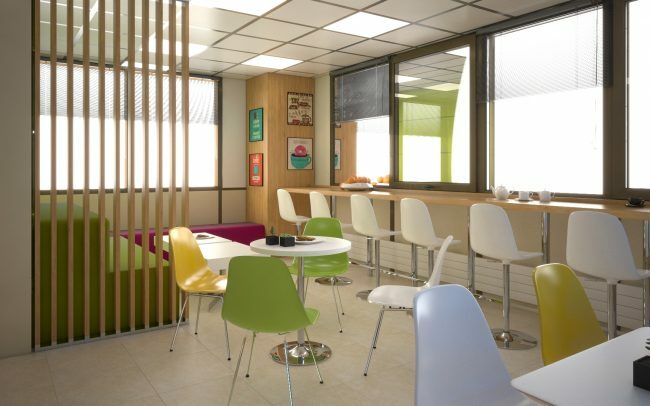 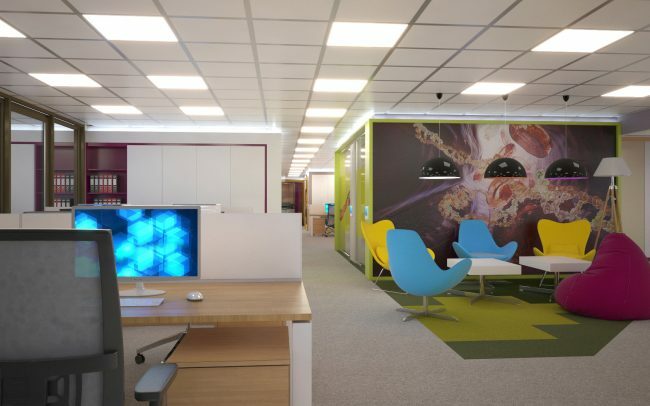 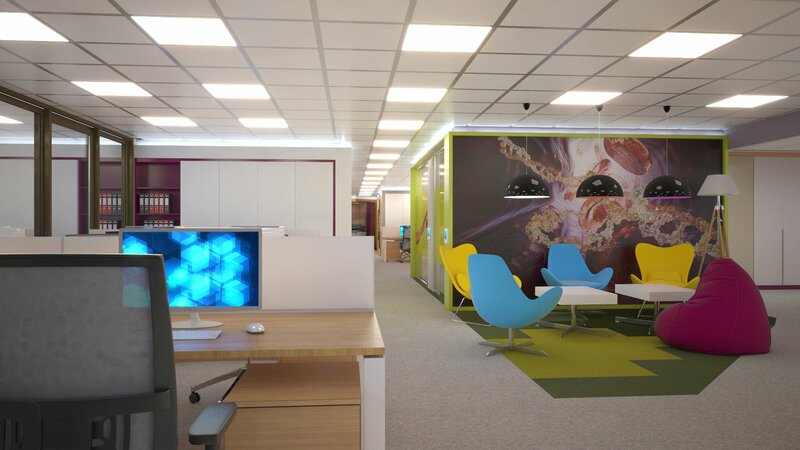 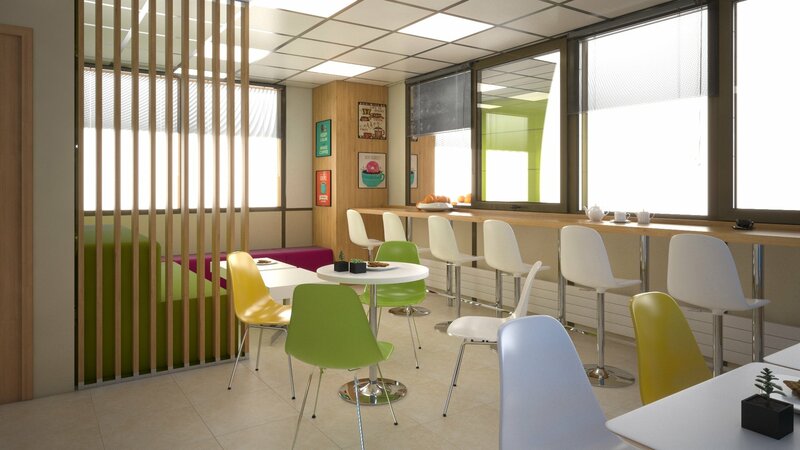 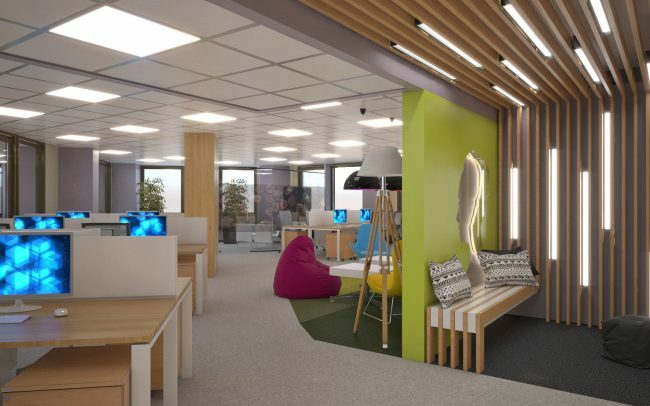 The design is based on the company's corporate identity - fresh and colorful spaces are made. 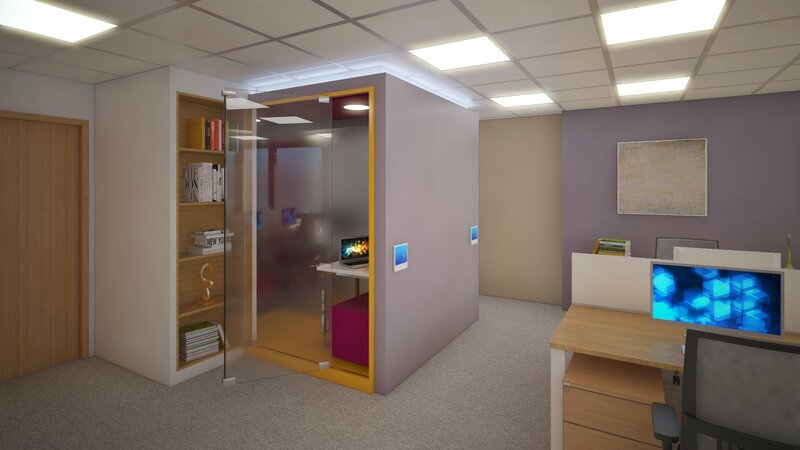 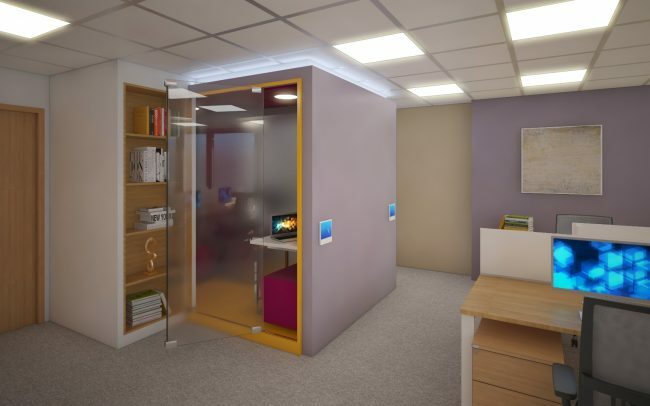 The office space is open with small secluded spaces for meetings, private conversations, brainstorming. 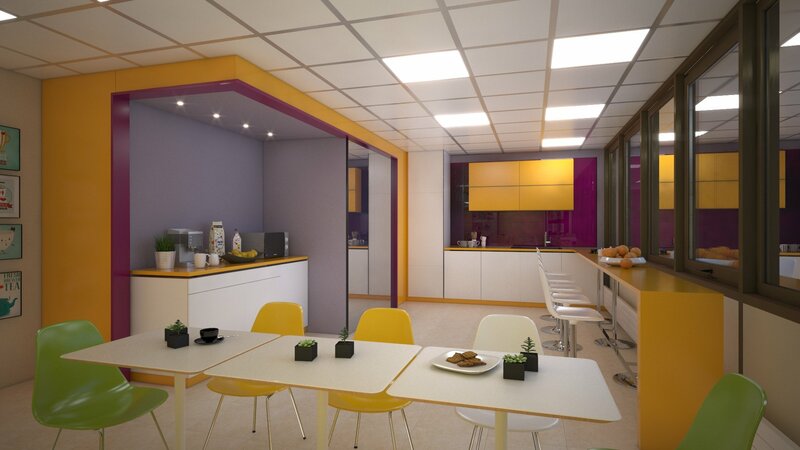 In the office take space also snack-corners, reception and relax areas.